This year marks the 40th anniversary of the beginning of China’s reform and opening-up, as well as the 40th anniversary of the China-Japan Treaty of Peace and Friendship. The downturn of Sino-Japanese relations brought stagnation in the bilateral trade for a couple of years. Luckily, we have seen some positive changes in bilateral trade and economic relations since the start of this year. From January to August, China-Japan trade totaled US$214.1 billion, with year-on-year growth of 11.2%. In terms of investment, Japan has established 529 new corporations in China this year, an increase of 40% compared to last year; and investment volume has reached US$2.82 billion, reflecting year-on-year growth of 38.3%. 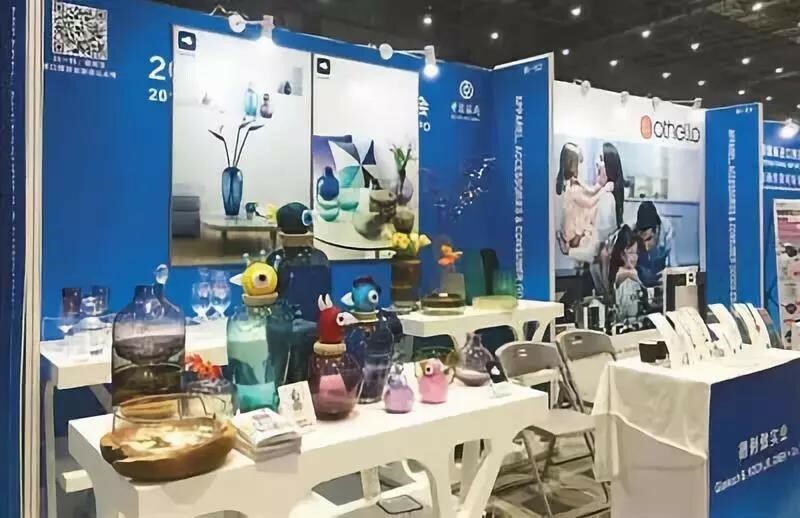 Δ Products presented by exhibitors in the Apparel, Accessories & Consumer Goods Area during the Pre-Expo Meeting on Supply and Demand Coordination Between the Exhibitors and Visitors of the First China International Import Expo. Most of all, many Japanese companies will attend the upcoming China International Import Expo in Shanghai, China’s first ever import expo. According to official statistics, Japanese companies, 579 in total, represent the highest number of registered companies from any single country. Japan also enjoys the largest pavilion area in the Expo, totaling 18,888 square meters. These factors indicate that Japan attaches great importance to China’s future development. China-Japan trade relations have entered a new stage of development and will embrace new breakthroughs following the past 40 years. The next 3-5 years will be a critical period for development opportunities in China-Japan trade relations. Third-party cooperation will serve as a platform and starting point of bilateral trade cooperation. 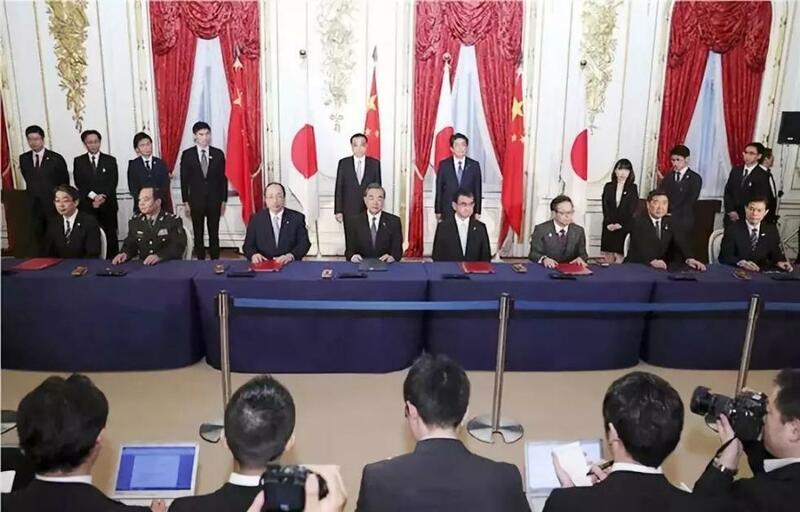 Δ On May 9, the National Development and Reform Commission, Ministry of Commerce of the People’s Republic of China and Japan’s Ministry of Foreign Affairs and Ministry of Economy, Trade and Industry jointly signed a Memorandum on Chinese and Japanese Companies Starting Third Market Cooperation. The two countries agreed to promote the China-Japan third market cooperation mechanism and establish and hold a China-Japan third market cooperation forum in order to enhance third-party cooperation between the two countries as well as exchanges among the enterprises of the two countries. Japanese enterprises are positive about the Belt and Road Initiative (BRI) and third-party cooperation. As early as the time that President Xi Jinping first initiated the BRI, the chairman of Ishikawajima Heavy Industry (IHI) had already discussed with me efforts to complement China’s efforts and expand third-party cooperation. Now, Japan’s major corporations, such as Itochu, Marubeni, Mitsubishi and Mitsui, are researching how to enhance the multi-facet cooperation that exists with Chinese enterprises in the countries along the BRI in terms of infrastructure, agriculture, processing and manufacturing, as well as new energy development. The Chinese Ministry of Commerce arranged a signing ceremony during Abe’s visit for Chinese and Japanese enterprises to jointly develop third markets, attended by 1,000 participants and over 60 signing programs, including a refinery co-construction program between Marubeni and Sinopec in Kazakhstan, and the world’s biggest solar photovoltaic power program in the United Arab Emirates being developed through cooperation between Marubeni and JinkoSolar, a Chinese private enterprise. 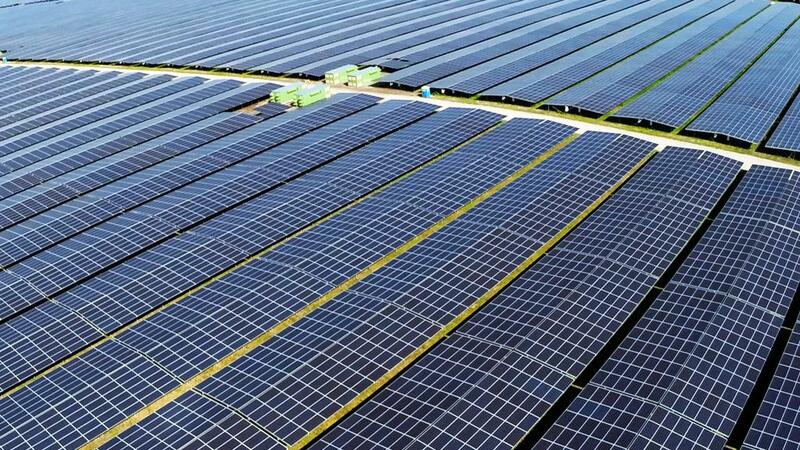 Δ The world’s largest solar photovoltaic power program in Abu Dhabi, United Arab Emirates is being developed through cooperation between Japan’s Marubeni and JinkoSolar, a Chinese solar power giant. Its total power generating capacity will reach 1,177 GW. Commercial operation will begin in September 2019. Here are three important aspects shared by these programs: First, they bring the two companies’ advantages into full play, such as those in technology and equipment, capital, talent and management models. Second, the companies of the two countries cooperate in the spirit of mutual benefit and jointly developing the market, which conforms to market norms. Third, they have established an example of cooperation between China and other countries in third-party markets. China has cooperated with other countries in developing third country markets before. For example, China and France have cooperated in the nuclear power program at Hinkley in the UK, and China and the US have co-explored bauxite resources in Guinea. Unlike the cooperation that existed in these few programs, China-Japan cooperation in current projects is unprecedented in scale, volume, range and influence. We follow this example in expecting China to achieve win-win cooperation with a greater number of countries in third-party markets and in a greater number of fields.